Fence Stile Vineyards and Winery is located 40 minutes from downtown Kansas City. 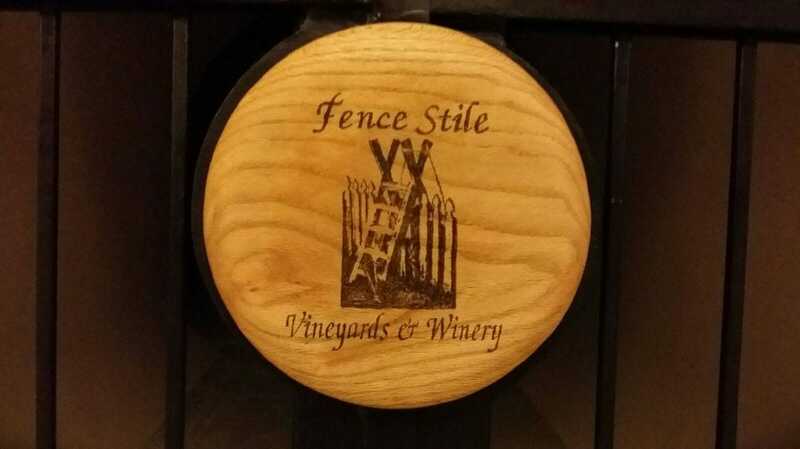 Set in the rolling hills of scenic Excelsior Springs, Missouri, Fence Stile is the winery in the region with a wine cave. Wine is an experience to be savored and shared. We are committed to creating quality, affordable wines from estate-grown grapes. Our unique winery offers wine tastings and tours, wine and other beverages, gift baskets, wine merchandise and wine accessories for sale. Enjoy a glass of wine on the patio overlooking the vineyards, in the Cellar Garden, or in the indoor Tasting Room. The outdoor fire pit is a great place to gather with family and friends on cozy evenings. Private tastings & tours of the winery & wine caves are available. Experience the winery and wine cave with a tour and tasting (RSVP required). View our calendar for available dates on select Saturdays. Fence Stile Vineyards & Winery from Jeff Knights on Vimeo. 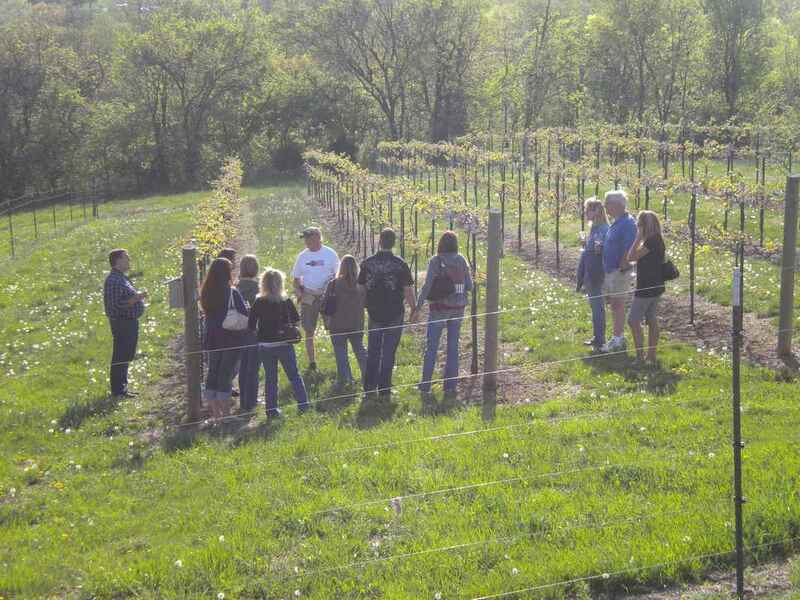 We are committed to creating a memorable wine experience for you with fun wines to drink in a setting close to the Kansas City area - perfect for a day trip! Call ahead and we will create a picnic for you or feel free to bring a picnic and we will help you pair it with a wine. We know that good wine begins with good grapes! With that, we have planted 6 varietals in 2007 and added 2 more varietals in 2016. We also believe the wine experience extends to the vineyard so we have planting parties, weeding parties, harvest parties, 'work in the vineyard' days and 'walk in the vineyard' evenings! Join the Winegrower Program for the full experience. What's it like to spend the day at the winery? For starters, it is almost always breezy so don't worry about the hair! Wear comfortable clothing, bring sunglasses and good friends. We are a family friendly place (our son and goldendoodle are often seen running around). Kids are welcome (and so are pets but you need to cleanup after both)! We have several seating options (indoor, outdoor, or bring a picnic blanket and hangout by the pond). On days we have live music, be sure to come early and get a good seat. Since there is a steady breeze, feel free to bring a kite, a bottle of bubbles, a frisbee or your bocce ball set. As the evening nears, we usually gather by the outdoor firepit and get cozy or on warm Friday evenings, join us on the patio for our outdoor movies - a 'Wine-in'. To ensure you can easily share your experience with your friends & family, WiFi is available in the entire facilty! ​Make new friends at Wine Club events or bring your book club for a fun place to expand your horizons. We also have a basket full of games & cards to choose from as you relax at the vineyard.